Put yourself in the ribbons. We will help you attain your goals. 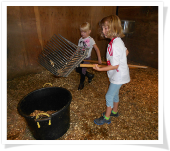 Come by for a pony ride or book a birthday party. 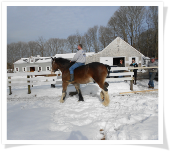 Join us for an hour ride through scenic fields and fragrant woodland areas, past salt marshes, cranberry bogs and ponds. 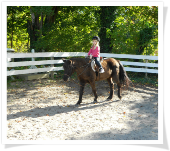 Brushing up on your riding skills or just starting out, we offer lessons to match your abilities. Stalls are currently available for your full boarding needs.